Walk-out style juliet balcony with glass balustrading without the need for supporting posts. 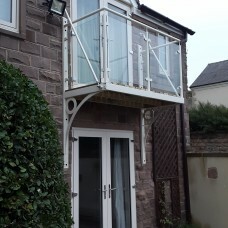 These juliet balconies are supported with a combination of gallows brackets and support tie-rods and can extend upto 1metre in depth. All our step out and walk out juliet balconies are made to order so please contact us with any bespoke variations you may require. 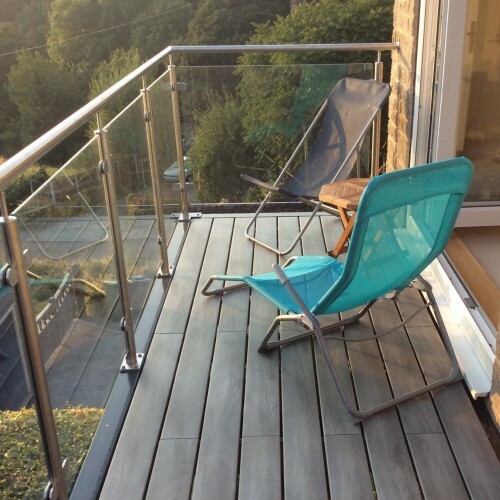 Glass balustrade options with either stainless steel or powdercoated steel as preferred. 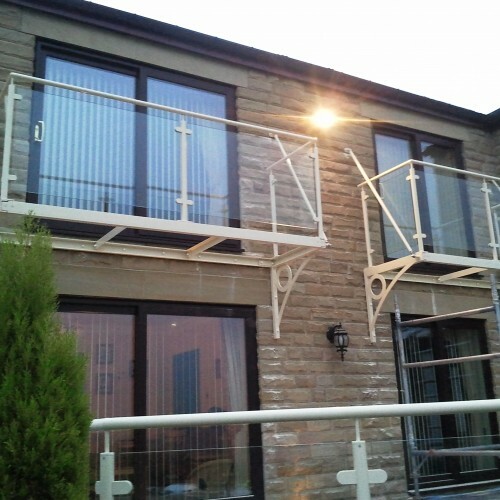 Our balconies conform to all current UK building regulations for domestic applications. Exact heights, sizes, fixing details etc can all be modified to suit individual requirements. All assembly fixings included. Base fixings (to building) are not included as these will vary. 3-4 weeks lead time from order placement. Our balcony systems are supplied in kit form and are simple to assemble with basic trade experience. We can also quote for professional installation if required.